Environmental Sciences is by its nature a multidisciplinary research discipline – a study of the interactions between the biological, chemical and physical components of our environment. Environmental scientists have training that is similar to other physical or life scientists, but is specifically applied to the environment. Obtaining ample field experience is therefore a key component of the course. A broad scientific knowledge is required which may also involve an understanding of economics, law and the social sciences. This course has been designed to provide for the needs of students with an interest in this rapidly developing academic and professional field. It comprises specially designed modules plus suitable modules from contributing disciplines. There should be ample choice within the listed optional modules for a selection that reflects a particular student’s interests. I decided to study Environmental Sciences as I had an interest in global environmental change and environmental governance. 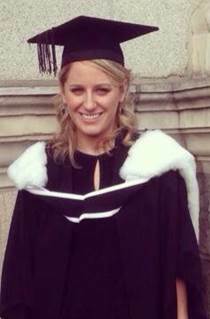 I graduated in 2013, and I am currently studying for an MSc in Environment and Development at King’s College London. The degree has a wide variety of optional modules to choose from, and this flexibility enabled me to focus on areas related to my career aspirations. The programme also provided me with exciting opportunities. I carried out six weeks of data collection for my dissertation in the Wakatobi Marine National Park (Indonesia) researching how coral structure and function differed in a no-fishing zone compared to a reef located near a village. During final year, I participated in an eleven-day residential field trip to Kenya, which focused on the trade-off between conservation and development in a range of ecosystems. Overall, I found that the broad background of this programme was a great basis for whichever route within the environmental sector I wanted to take. The fundamental concepts of that discipline will be presented in core modules while students will also select from a cohort of approved modules from allied disciplines that enhance understanding of their chosen discipline and encourage interdisciplinary thinking and research. Students can also experience the wide range of knowledge and investigation available throughout the university by choosing an elective module from a selection that highlights major research themes from across all faculties. In the fourth year students choose from a selection of modules on advanced topics within their discipline. They will also undertake a research project in Trinity or in a research laboratory in another university, research institute or hospital. Throughout this programme, students will also acquire skill in problem solving and data handling and in oral and written communication. The undergraduate degree course offered by the School of Natural Sciences has been designed to provide for the needs of students with an interest in this rapidly developing academic and professional field. The Moderatorship programme comprises specially designed modules plus a wide range of suitable modules from contributing disciplines. There should be ample choice within the listed optional modules for a selection that reflects a particular student’s interests. Field work is a core component of the course. 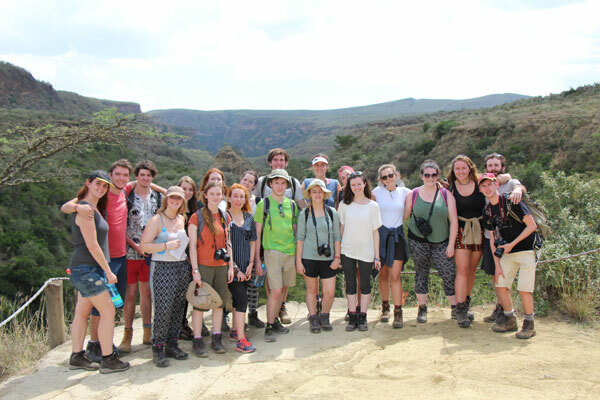 In their Sophister years, Students may attend a number of residential field excursions both around Ireland as well as in the Canary Islands and Kenya. The Environmental Sciences Moderatorship course consists of 60 European Credit Transfer Systems (Credits) for each year. Both Junior and Senior Sophisters take a total of 45 mandatory Credits and optional modules up to the value of 15 Credits. Some modules are examined entirely by in-course assessment, but most are assessed by a combination of in-course assessment and examination. The Environmental Sciences Moderatorship course consists of 60 European Credit Transfer Systems (Credits) for each year. Both Junior and Senior Sophisters take a total of 45 mandatory Credits and optional modules up to the value of 15 Credits. Some modules are examined entirely by in-course assessment, but most are assessed by a combination of in-course assessment and examination. As a graduate in this area you will be able to take advantage of the worldwide demand generated by increasing environmental awareness. Our graduates pursue careers in conservation, resource management, waste management, environmental research, environmental protection and environmental education. Many graduates move straight into environmental consultancy, while others find employment in NGO’s, national and local government departments, monitoring agencies, conservation bodies and analytical laboratories. It is also common for a number of our graduates to choose to further their education by pursuing postgraduate degrees in Environmental Science. For general information on the various financial options open to Trinity students, including education grants, loans, and scholarships please click here. Some of these options are open to all students, whereas some will have restrictions based on your EU/Non-EU status, course of study, and similar. Laidlaw Undergraduate Research and Leadership Programme: The Laidlaw Undergraduate Research and Leadership Programme is an innovative scholarship designed to help undergraduate students from all disciplines and walks of life to develop strong research and leadership skills which will allow them to excel in both their degree programmes and their careers. Please click here for more information about the Laidlaw Undergraduate Research and Leadership Programme.